Gobble Gobble... Blam Blam Blam! timofey_tkachev is full of surprises. He recently wowed us with his ORCA. 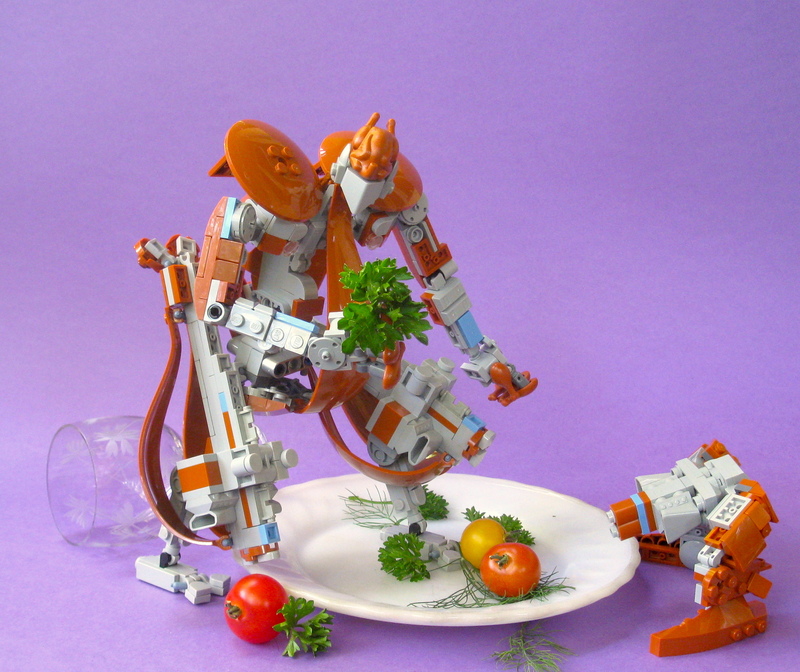 So I opened up Flickr and saw this turkey MOC. Decent build I thought, love the use of the balloon pieces for the wings! and the presentation with the plate and real glasses is bang tidy. It turns out this is actually a transformer! Timothy spares us any wacky back story or explanation. I like to think this is a highly sophisticated 21st century assassin robot sent by ultra radical vegans intent on eradicating meat eaters....This could just as easily have come from the latest episode of Rick and Morty, I just don't know - maybe one of you guys can fill me in? Either way I love both aspects of the build. Head over to his stream and take a look! 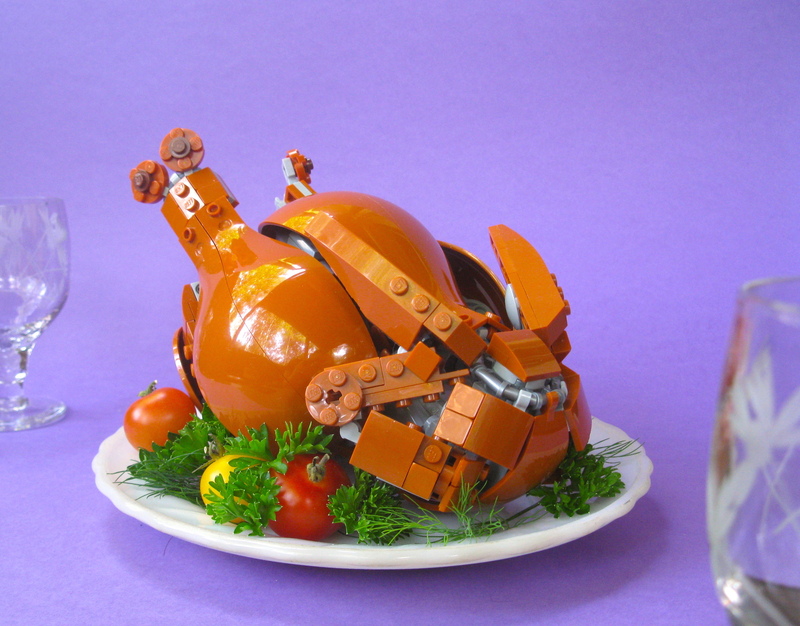 I just dig that minifig turkey as the face and top half of the turkeybots head! Hope this doesn't put you off your dinner! "I Will Go to Micro Mordor!"